A custom design Glass Hanging Lantern in the shape of an English glass cloche with greek key brass band and 3 light brass fittings. 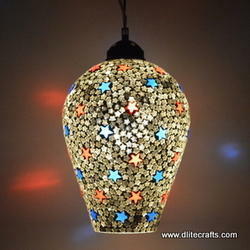 An artistic hall lantern in any stylish home setting. A beautiful way to light one's garden, these stainless steel garden lanterns are an epitome of beauty along with perfection. We offer a huge range of glass lantern which is made with exquisite styles and are available in various designs. 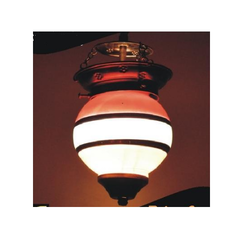 These decorative glass lantern, glass hanging lantern, hanging glass lantern, etc. are ideally suited for home decor or in hotels. Available in different colors, our glass lantern reflect a perfect blend of elegant and modern styles. With sincere intentions to preserve and uplift our reputation in the market, we bring forth a distinguished assortment of Glass Hanging Lanterns. Under the direction of talented professionals, our offered glass is beautifully designed using supreme grade glass and contemporary methodology in tune with defined quality standards. We are successfully meeting the requirements of our clients by offering the best quality range of Glass Hanging Lantern. Being one of the reputed organizations in the market, we are engaged in providing an exclusive range of Clear Glass Hanging Lantern.